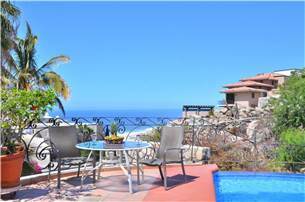 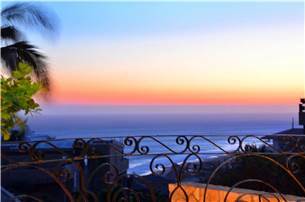 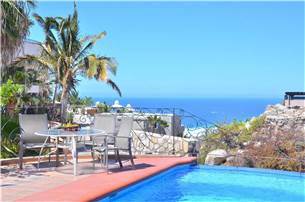 Ideally situated in the private and securely gated community of the Pedregal, Villa Sol y Luna offers guests magnificent views of the Pacific Ocean and surrounding beach. 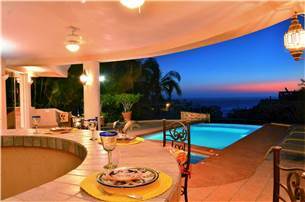 Watch the sunset and moonrise from its elegant patio complete with zero-horizon swimming pool, jacuzzi, poolside bar and barbecue. 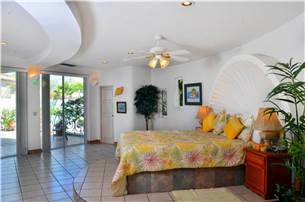 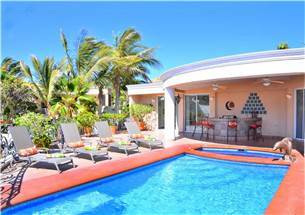 Newly remodeled, guests will appreciate the bright, whimsical artistic touches that enhance the architectural character of this lovely villa, both inside and out. 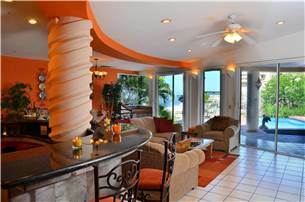 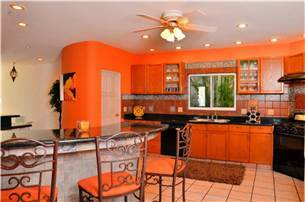 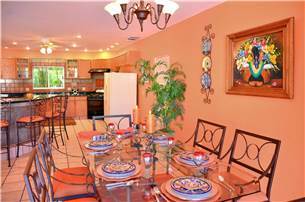 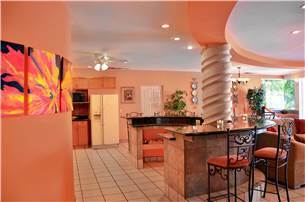 The spacious kitchen, adorned with granite countertops and breakfast bar, flows comfortably into the cozy living area, making Villa Sol y Luna perfect for entertaining, as well as relaxation. 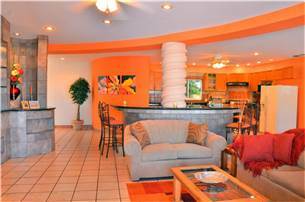 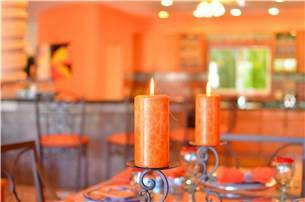 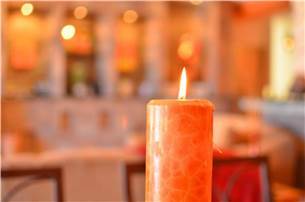 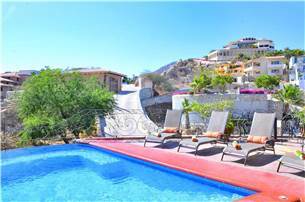 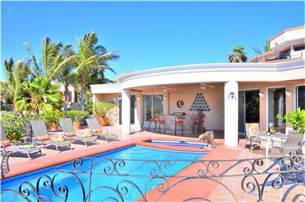 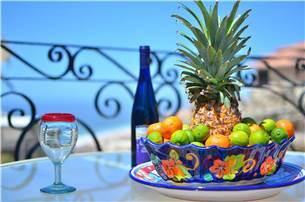 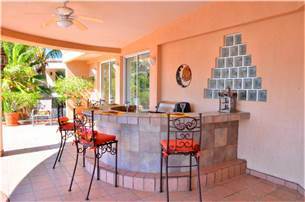 Its wonderful location—five minutes from the beach and a quarter mile from downtown Cabo San Lucas—puts you right in the heart of this safe and protected vacation paradise. 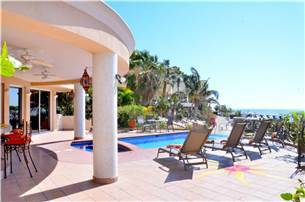 Whether you decide to check out Cabo’s fantastic shopping, bustling nightlife, or unwind in the tranquil setting of this private villa sanctuary, you will have a fun and memorable experience at Villa Sol y Luna.